Garlic Gold® makes every side dish better, and this cauliflower is no exception! We chop it up fine in the food processor, then sauté it with our garlic-infused olive oil and Italian Herb Nuggets. It comes out looking just like grains of couscous, but with way less carbs and all of the nutrition of cauliflower. It’s so tasty, and nutritious too! 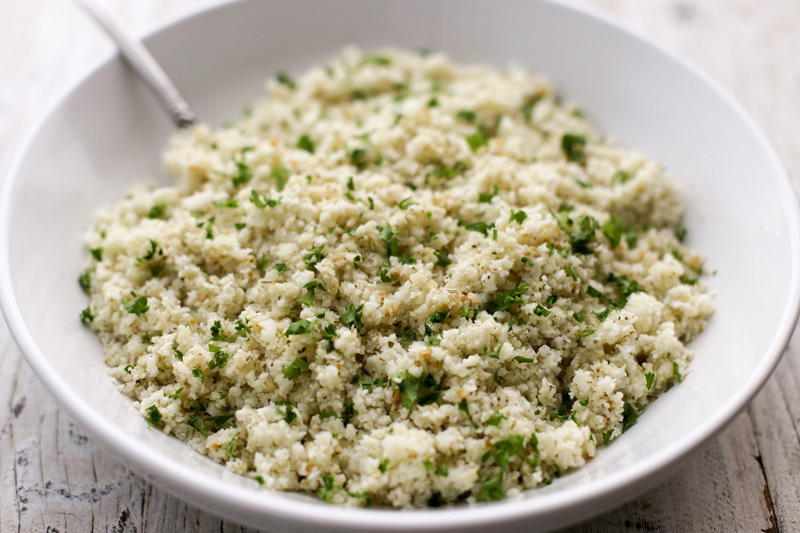 Serve your “couscous” just like you would the regular version, alongside roast chicken, pork chops, or broiled salmon. It’s great on a plate for dinner, or in a bowl for lunch topped with your favorite protein, a handful of greens, and a splash of balsamic vinegar. Enjoy! Cut the cauliflower into individual florets, removing the tough inner core. Place the florets in a food processor. In two batches, process the cauliflower in one-second pulses until finely chopped, resembling grains of couscous. 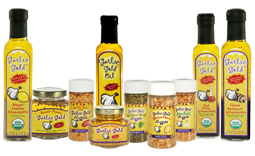 Heat the Garlic Gold® Oil in a large (12-inch) skillet over medium-low heat. Add the cauliflower, Italian Herb Nuggets, and salt. Stir to combine everything evenly. Cover the skillet. Let the cauliflower cook, covered, for five minutes, until piping hot and tender. Turn off the heat. Stir in the chopped parsley and serve hot. Mexican Cauliflower Rice Variation: Process the rice for a slightly shorter time, so the pieces are the size of grains of rice. Swap Garlic Gold® Southwest Nuggets for the Italian Herb Nuggets, and use chopped cilantro instead of parsley.